When I was younger I used to watch a ton of movies, mainly romance/romantic comedies. My childhood was filled with Princess Diaries, The Lizzie McGuire Movie and High School Musical (1, 2, & 3) — all the classics. In our household we weren’t really exposed to anything else, which is mostly likely the reason I can’t stand scary movies. I remember when I was little, my dad had accidentally left the Sci-Fi channel on in the living room. The next thing I knew I was watching a woman being eaten by a carnivorous tree and from that point on I was never the same. I even had an irrational fear that E.T. would be hiding behind my shower curtain ready to jump out at any given moment. So naturally, I would pull back the shower curtain every time I went into the bathroom. The best part of it was that I had NEVER SEEN the movie. When I tell this story, people look at me like I’m crazy which makes sense because E.T. isn’t even a scary movie!! So yes, I have terrible taste in movies and this “refined" taste only grew in college. That’s when I met a group of girls who had just as big, if not bigger, appreciation for rom-coms. But what I could never understand was the need to re-watch each movie. We decided to make it our combine goal to rewatch every romantic comedy known to man. Seriously, name a rom-com and we've probably watched it. Am I proud? No. It’s thoroughly embarrassing and I have no clue why I’m sharing this list but I hope you enjoy! 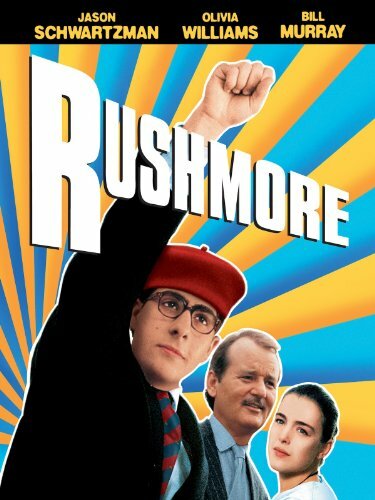 I started with Rushmore just to impress you. HAH. Actually, I watched it for the first time in my film writing class my junior year of college. I felt like I was had been exposed to a whole new world of film. One where people took the time to put thought into the script and the way things visually appeared to the audience. Wes Anderson blew my mind. There was so much thought and energy put into making it. Plus, it was pretty funny. Okay when I said I have terrible taste in movies, it was a little bit of an exaggeration. Now that I’m what some would call an “adult” my taste has matured….only a little. 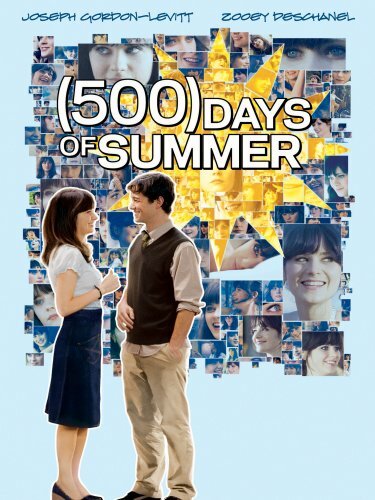 500 Days of Summer has always been a favorite. Joseph Gorden Levitt and Zoey Deschanel are two of my favorite actors. They're both adorable and super talented. Oddly enough I relate to this movie on so many levels. Yikes. I would have to say it’s Katherine Heigl's best movie but only because I can’t stand her in anything else. I don't know what it is about this movie but it gets me every time. It could be the relationship between the sisters or the idea of obessessing over someone to only realize the fantasy is way better than the reality. If you haven’t seen it, it’s basically about “the girl next door” who thought her best guy friend from grad school was way out of her league. Years down the road they finally admit their true feelings for one another but not before causing some serious DRAMA. Confession time. Musicals are my weakness. Nothing compares to Meryl Streep singing on an island in Greece. Plus, Colin Firth is adorable. It’s happy-go-lucky film but I love ABBA. You can thank my childhood memories of dancing to “Take a Chance on Me” at a 4th grade 80's themed birthday party for that one. I thought I would sneak this one in to further embarrass myself. The obsession started back when I was in eighth grade. It's my all time guilty pleasure. Did it get a 10% on Rotten Tomatoes? Possibly. But that shouldn’t stop you from watching this masterpiece and enjoying all of it’s glory. Three words: 1). spring 2). break 3). 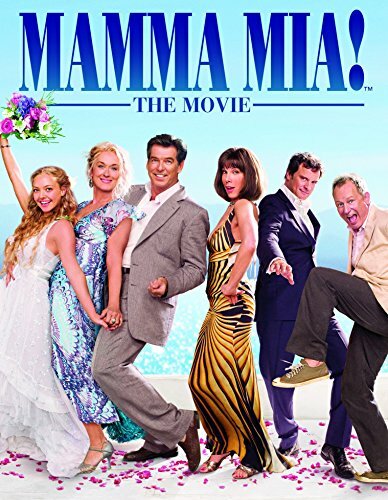 MUSICAL — What more could you ask for? What a great way to start off the weekend! Have any movies you’re embarrassed to share? Dooo it!